My view of the world and what I can do in it has shifted immensely thanks to the InterExchange Christianson Grant. Shortly after arriving in Kenya in July 2017, the organization I intended to work for—Wale Wale Kenya—shut down due to corruption. I was back in the country I loved (after studying abroad in 2015), ready to tackle an important literacy project and my key partners just vanished. Panicked, but determined to build a library and ensure that youth in Kibera read at grade-level, I charged forward. Here's how I did it and the challenges I faced along the way. My time in Kenya has been marked by the amazing relationships that helped me navigate the challenge of Wale Wale's dissolution. I believe the universe brings together like-minded individuals with good intentions and credit this power for leading me to Rukia Sebit, an amazing educator, leader, and mother from Nairobi. When we first met, we discussed our hopes and dreams. Rukia wanted to pursue a college degree and run her own non-profit. I also wanted to start my own non-profit (now that my original plan was no longer viable), however, I was struggling immensely. I had no idea how to build a new organization. All I knew was that I wanted to live in a world where all people know how to read and write. Showing a deep love for her community and compassion for my struggle, Rukia took me under her wing, served as a mentor, and helped me build Sunflower Global, a non-profit organization focused on the core ideals of literacy as leadership, peace building, and changing the culture of achievement. The first thing we needed was a location. Luckily, I had ties to many leaders in the community who helped us find a few potential areas. We found a large compound with space to build the library, classrooms, kitchen, and bathroom. 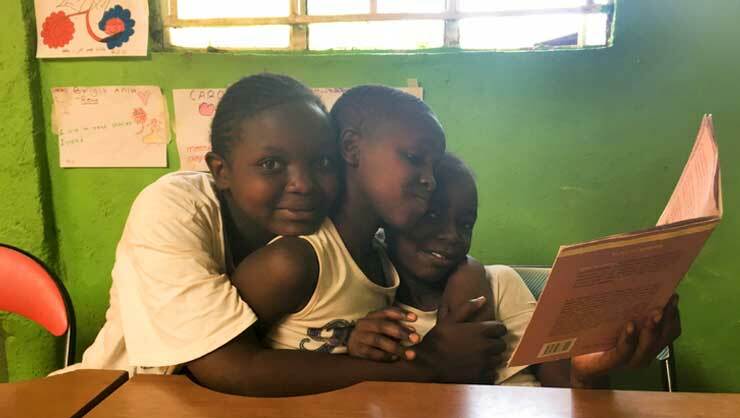 With funding from the Samuel P. Huntington Award, we constructed a large library with seating for 80 youth and space for more than 1,000 books. The planning and construction took about three months. 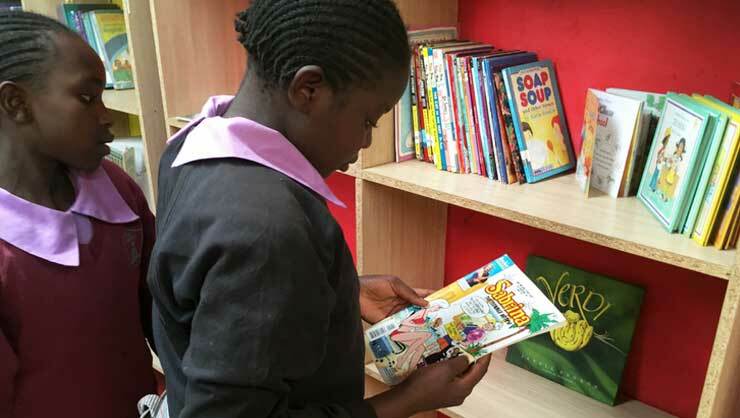 By the end of September 2017, we opened the community library for local students to use. Fifteen schools and more than 250 students showed up on opening day and in the first couple months of operation, we hosted more than 700 visitors! Turmoil filled the weeks following the second presidential election in October 2017 (after the Supreme Court ruled that the August election was invalid), in which the incumbent Uhuru Kenyatta secured a second term. Protests and opposition rallies erupted at least once a week forcing us to close Sunflower's doors (to ensure the safety of our staff and students). During these moments, Rukia and I worked from her home, building Sunflower from our computers—outlining programming, researching potential funders, and fleshing out our vision for the future. What really struck me during this period was the need for leaders who are unselfish, kind, and willing to work for the good of their country. As the egos of Kenyatta and the opposition battled, many innocent people were tear-gassed, beaten, maimed, and unable to return to work and school. Kenya's post-election violence directly impacted Sunflower's mission and vision—in addition to improving literacy, we want to build a world filled with socially and morally conscious leaders, to encourage females to enter leadership roles, and remind the world that leadership is not all about power, but also about empathy and respect. With the library space up and running, I started to feel like I wanted to do more than just provide a community space. I wanted to focus on students who couldn't read, providing them with tools to be successful in school and life. 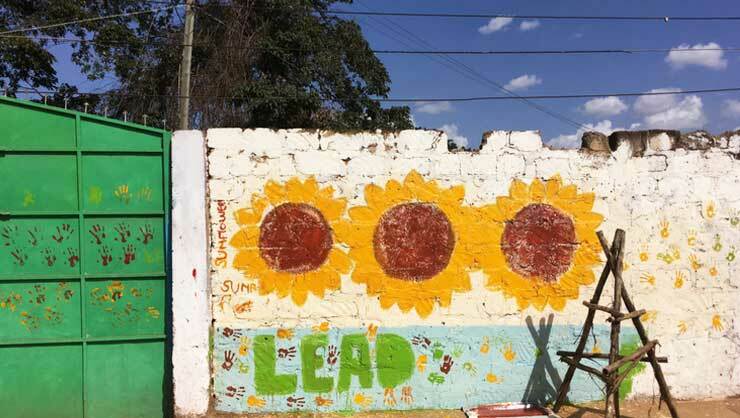 By leveraging resources from high-performing private institutions, Sunflower established two new programs: Pathways to Alternative Learning and Education (PALE) and Sunflower Early Education and Development (SEED). PALE changes the trajectory of a girl's life. 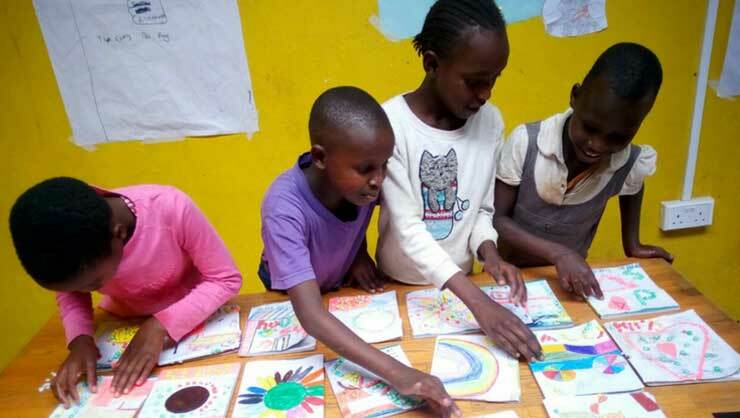 This alternative education program is for vulnerable girls from the impoverished areas of Kibera. 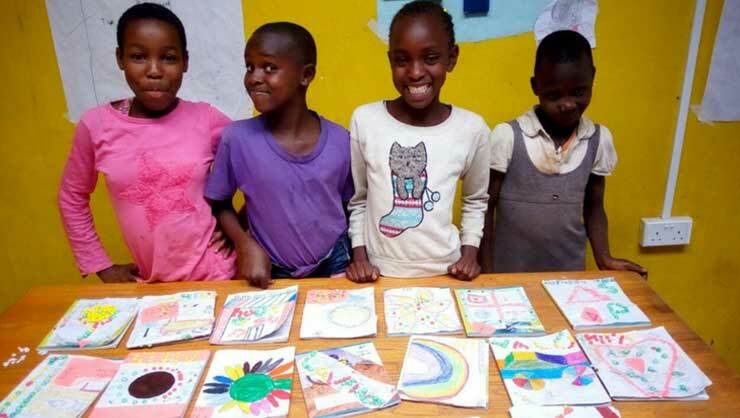 PALE identifies girls at risk of ending their education early and invites them and their families to join this holistic, alternative program for grades five through eight. The curriculum emphasizes critical thinking and provides collaborative and enrichment activities for students. The highly effective curriculum helped our 2017 cohort of students improve their literacy, English, spelling, and comprehension skills by 25% in the first six weeks. At the end of their first year, students reported higher levels of self-confidence and expressed a desire to pursue higher education. In 2017 we served 20 girls. We have plans to increase this number to 160 in 2019. SEED is a high-quality, low-cost pre-school for boys and girls between the ages two and four. We're expanding to serve 45 pre-schoolers in 2019. 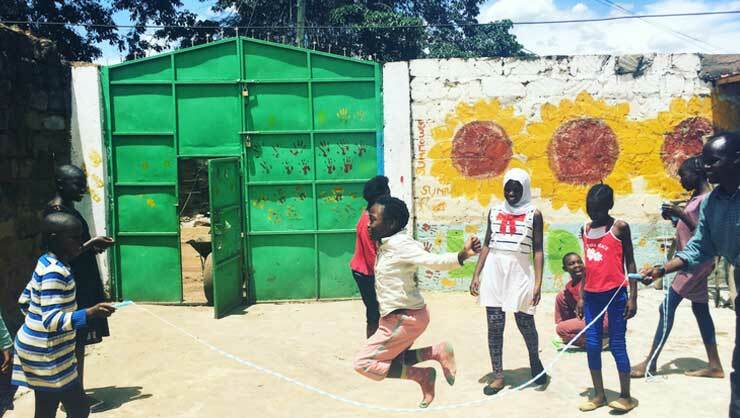 Teachers Mary and Euphrasia are enthusiastic and dedicated to supporting these young learners through play, dance, and laughter. 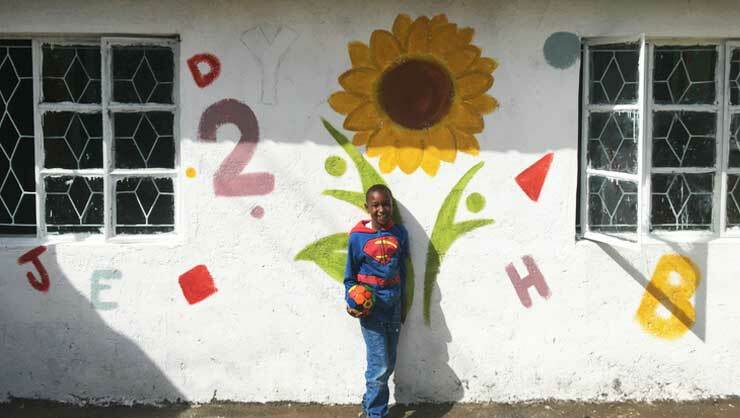 Sunflower started off on rocky footing, but through hard work, dedication, and a whole lot of laughter, we served more than 100 children our first year. 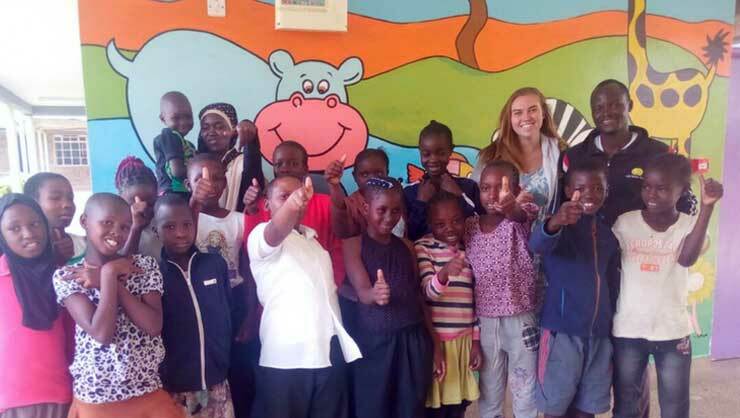 Sunflower Global was incorporated as a nonprofit organization in the U.S. and Kenya in 2017. We've received international funding from organizations such as Girls Rights Project and the Kathryn McQuade Foundation. 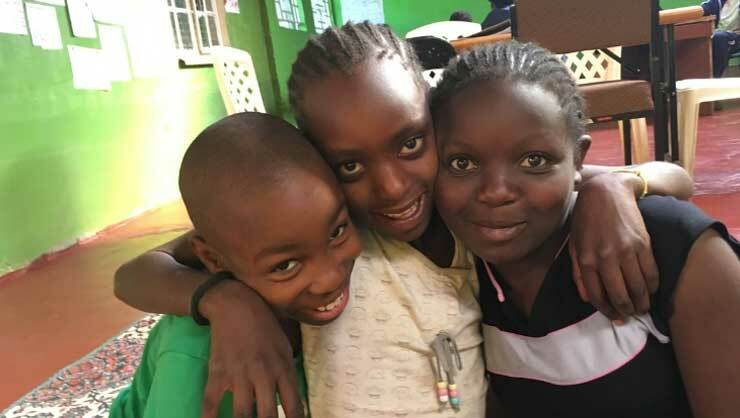 Our expansion plans include a new building for our PALE school, the addition of two classes to our SEED program, and expanding these models to serve youth in other areas of Kenya and the world. The Christianson Grant changed my life is so many positive ways. It helped me travel, learn more about other parts of the world, serve others, and grow in confidence. Before I won the grant and traveled to Kenya, I knew I wanted to work in education, but I was unsure of how, or in what capacity. Now, I am incredibly committed to Sunflower Global and our students. It's my dream to build more high-quality institutions for children throughout the world. The Christianson Grant started me on a path of service that I will continue to walk for the rest of my life. 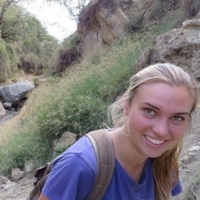 Gianna volunteered in Kenya with the help of a Christianson Grant, from the InterExchange Foundation.